I am a “child” of the 60’s, which means I was born in the early 50’s and spent my youth and late adolescence in the thrall of all that was swirling around in our culture in the late 60’s and early 70’s. My experience is probably similar to that of many of my generation – the parents of many of my younger readers. An apocalyptic sense of time – we thought a new world was about to be born. A dissatisfaction with what had gone before. All institutions were questionable. An idealization of the ability of human beings to make a difference. A narcissism with our own generation. We were wiser than our forebears. There was a host of supporting characters – from the military-industrial complex to a parental generation who had endured the Great Depression and World War II and thus could not begin to understand the dissatisfaction with the world around us. How could we be so ungrateful? The years of the 60’s became a decade in which everything of significance was universally available on the television: each political assasination as well as the upheaval in the South during the Civil Rights Movement was captured on the screen. Everything from rioting to war was an image – not just a story. Part of the legacy of those years is a latent apocalypticism – a sense of the “end” of things that remains to this day. When the Soviet Empire came to an end, Francis Fukuyama asked whether we had reached the “end of history.” His was an apocalyptic vision of global consumerism. There is a deeper meaning of the word “apocalypse” and its variations – its original meaning – the revealing of something that has before been hidden. Thus the Revelation to St. John also goes by the name of the “Apocalypse.” What, of course, was hidden and being revealed to St. John was the end of all things. Not a mere moment in history. As strange as the symbols of the book are, there is a very clear conclusion: what is revealed is the triumph of Christ over all things. “The Kingdoms of this world have become the Kingdoms of Our Lord and His Christ and He shall reign forever” (Rev. 11:15). It affirms that the victory of Christ’s Pascha is an eternal Pascha – the true end of history and thus the meaning of all things. This very “apocalypse” is revealed in every Liturgy, every assemblying of the Church for the marriage supper of the Lamb, the Holy Eucharist. There the “Lamb Who was slain,” is made manifest to us and feeds us in the eternal victory of His Body and His Blood. The great revelation – the true apocalypse – is not to be found in the ephemeral images of beasts and plagues, but in their utter eradication and the resurrection of the world. “For the Lamb which is in the midst of the throne shall feed them, and shall lead them unto living fountains of waters: and God shall wipe away all tears from their eyes” (Rev. 7:17). And so it is. For those who have the eyes to see, the apocalypse, the true revelation, is now. This is not to say that history will have no end. It will and it already has. Fr. Stephen, thank you for these comments. Although I was born 10 years later, the “1960’s” and all that decade entails definitely changed the world and the America I grew up in was definitely different than the one my parents grew up in, having those years sandwiched between. Along with acknowledging these things, I want to thank you for speaking about the Apocalypse in such a manner. 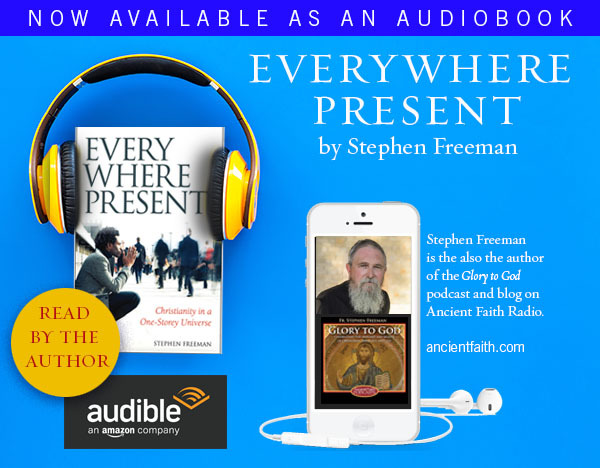 It is a comfort to my life to listen to the encouragement given here and to no longer fear this as I did growing up in a protestant church where the rapture was the big deal and the happenings in the book of Revelation were spoken of with mostly dread. Also, although I haven’t heard all of the series, Fr. Thomas Hopko’s recent talks on the Apocolypse given as part of the Great Tapes Series on Ancient Faith Radio were very instructive and enlightening. I was born in 1949 into a military family which meant that I lived in several different countries, other than the USA. This changed my perspective on the world and is one of the reasons I never fit in with most young Americans of the radical 60s. As someone who is much younger, I struggle to have a solid perspective as it relates to our institutions. So many people say that the Church needs renewal. At face value, I agree: the Body of Christ on Earth is constantly charged with taking up our crosses to follow Him and to be transformed evermore into His likeness. However, when I start talking to them, they say that the problem is with the “hierarchical structure” that “excludes women” and “suppresses ‘truth'”. They would say that labeling something a “heresy” comes solely from a place of “power” and “privilege” designed to keep “the other” in their “appropriate place” (of oppression). How can we converse about such things when we don’t even speak the same language? I remember those kinds of conversations from my stint as a graduate student at Duke. We can’t speak very easily to those who speak a different language. Grace has to do something. I tried to do the whole hippie, free-love, thing but couldn’t. Served in the USAF instead and missed it all-except the music-still love 60’s music. My generation is still self-absorbed, arrogant and oh so stupid! 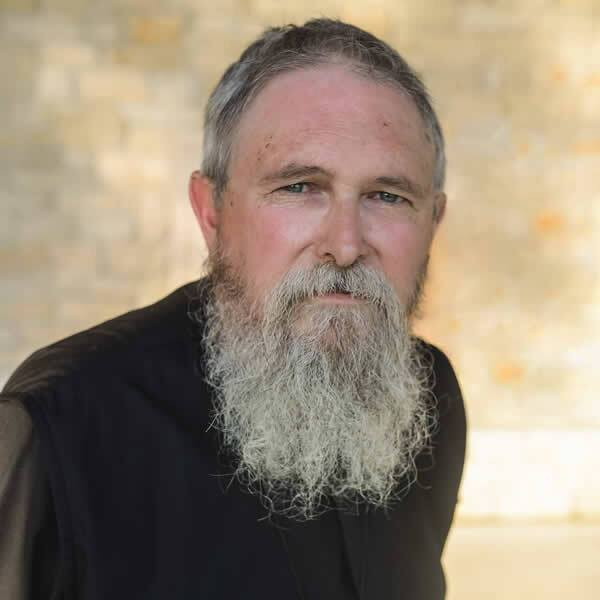 God Bless you Father Stephen for the reminder. There is a name for those of us who spent a good part of our formative years in a culture not our own–“third culture” kids. An MK friend of mine recommended a book to me by this title, which examines our unique traits and challenges. Born in the U.S., I spent 6 years of my childhood school years in Great Britain. It doesn’t matter what your culture of origin, or what culture you grew up in, many of your experiences will parallel that of other “third culture kids.” Part of this legacy for me was being more flexible in terms of translating the meaning of words and actions into different cultural expressions and terms. It made my transition to Orthodoxy a little easier than it is for some (though definitely still an upheaval and culture shock!) It is at the same time a great blessing and advantage, but can also leave a sense of rootlessness, being “different” and not belonging anywhere as well. Thank God we all belong in His Kingdom. I’m in dialogue with my boomer generation sister-in-law whose early Christian experience was in an overbearing Roman Catholicism (family and school). She rejected that in favor of her own eclectic New Age hodge-podge of practices and beliefs and appears to have bought into a lot of the perspective you describe in those you talk to. She recently sent me two books to read, one of which is “The Gnostic Gospels” by Elaine Pagels if that gives you an idea of influences in her thinking! The other has a similiar liberal feminist (revisionist) perspective. I’m grateful for the books because it means she has begun to trust me more as a dialogue partner. The irony is that many of her underlying values (for example, her passion for social justice and deep commitment to the value and full personhood of women and children) are deeply Christian and would never have been formed if the predominent cultural influences of her history and background had been truly pagan or gnostic and not traditionally Christian (in at least a broad sense). My approach has been to try to uncompromisingly be myself, not to push my beliefs on her (or rationales for my holding to them, except as she asks), to accept her as a beloved member of the family unconditionally as Christ has accepted us (which truly is not difficult because I can relate to her fears and understand many of her concerns), and above all to pray and be open to opportunities to “give a reason for the hope that is within me.” On the positive side, she relates more readily to Orthodox spirituality than my former evangelicalism or what she grew up with. For example, the Orthodox understanding of sin as a “wound” (and not merely as a legal moral infraction) and its resulting pastoral approach resonate with her. I see Christ at work within her heart, and my earnest prayer is not to put any stumbling block in the way of what He is doing in her heart and mind. She is a very big part of the reason I became Orthodox, but that is a story for another day! As usual, I wax too long-winded already! Pray for her and for me. You are a good sister. I have two brothers, both Christians, but not Orthodox. I hope to be as good a brother as you exhibit in your treatment of your sister. God save us all! I have a theory that a psychotic form of millenialism accounts at least in part for the insanity of the late twentieth century. Because we were approaching the year 2000, a “new age” was dawning and the past was irrelevant. What resulted in the churches was a new and vicious form of iconoclasm. I noticed a while back that people don’t talk as much about the “new age” as they used to, which I take to be a good sign that perhaps some form of sanity is returning. The age of Aquarius has not arrived, so perhaps tradition continues to have some value. 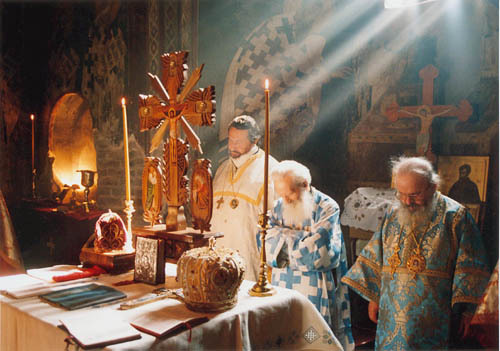 Orthodoxy virtually stands alone as the only major Christian body not to wreck its liturgy or disavow many (or all) of its traditional beliefs during the past half century. (Which, by the way, is why I am now Orthodox.) But so much damage has been done. It is hard to take in the scale of the devastation. The 60s were like a cultural Hiroshima. I was born in 1961. I have vague memories, from when I was very young, of an intact civilization. Then BOOOOOMMM!! Take the Catholic church for example. For people much younger than myself, traditional Catholicism, which survived more or less in tact for hundreds of years, is as alien and as incomprehensible as the religion of the Druids. I know, because I taught for a couple of years at the University of Notre Dame. I know that the Orthodox church is not perfect. It has many many serious problems. But its liturgy and its dogma remain in tact, which made it seem to me like an oasis to a man dying of thirst. Thank God for the Orthodox diaspora. I believe in providence of course and I don’t believe that it was accidental that the Orthodox church in the west began to blossom just as the traditional western churches started to commit corporate seppuku. The greater wonder (as compared to the sins of my generation) is the glory of the Apocalypse that occurs in the Liturgy! Where we stand! What we see! What we taste! Everything that hearts longed for, what goodness that can be found in utopian visions, is truly present with us in the Liturgy. God give us eyes that see and the faith that can possess such a treasure! The photo: Patriarch Pavel of Serbia (truly one of the holiest hierarchs of the Church) in the Divine Liturgy. Notice the sun enters from the East (it’s morning). I have been mulling this and your related posts over the last few days. I understand very little about the teaching of the Orthodox with respect to the apocalypse. I find your view that the revealing of what was hidden to be both now and future to be insightful. Where can I find out more about the Orthodox teaching regarding the end times ? I’m sure that the focus will be entirely different from what my protestant fundamentalist background makes me want to approach it from. For example how do you treat the prophecies of Revelation and for example the statue of Nebuchadnezzar’s dream etc. In any case I’m sure its far more complex than you can explain so if you could point me in the right way I’d appreciate it. In a separate question are the current end times views which predominate protestant fundamentalism ( restoration of Israel, tribulation, millennium, secret rapture etc. ) historically new interpretations ? Does anything or anyone address the rise and evolution of these doctrines over time ? I find they never address the rise of their beliefs since their focus is always on which interpretation is more logical and rational based on the text ( like arguing a court case ). The historical roots of a belief are not as important. This tends to make me wonder a bit as new doctrine is, based on my observation from experience, generally not a good thing. And of course the epistles council against it as well. Thanks for your continued contributions on this blog. I really appreciate the clarity and simplicity of your thoughts. I have been an “end times” buff since childhood, having grown up with Hal Lindsey’s “Late, Great, Planet Earth” best-seller. Orthodoxy has taught me that even the fascination with these things (there are many examples of this even in popular culture) can lead us astray. Your comments on the eucharist and its eschatological meanings puts all this in perspective. Christ’s words remind us that “the kingdom is already here.” And therefore the end also. I answered, to some extent, my own question above so I’m sharing the link where I found the answer. Its from the Greek Orthodox Archdiocese in America.